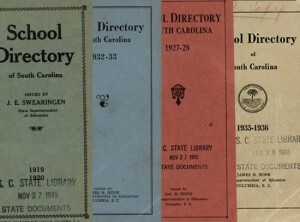 Columbia S.C. – The South Carolina State Library is pleased to present the South Carolina School Directory Digital Collection (http://www.statelibrary.sc.gov/south-carolina-school-directories). The South Carolina State Library’s Digital Collection (https://dc.statelibrary.sc.gov) provides a set of online projects that expand the State Library’s mission to provide equal access to information for all South Carolinians. These online collections create greater access to the State Library’s unique historical resources and new digital projects. 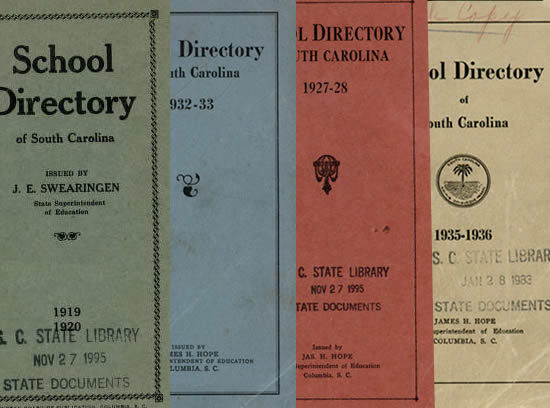 The South Carolina State Documents Depository is an online library of both current and historical publications written by state agencies and state-supported academic institutions. These publications provide citizens with crucial information about state government, including statistics, annual accountability reports, and data on a wide variety of topics related to the state. For more information, contact Amanda Stone, Innovation & Digital Librarian, at astone@statelibrary.sc.gov or 803-734-4816.